I’m a huge advocate for decorating on a budget, and I’m always looking for ways to save money on revamping a space in my home. There’s one area where I’m totally fine investing a little bit of money, though: the baby nursery. My husband’s philosophy is that you should design a nursery in a way that makes lots of baby sleep the ultimate goal, and it’s a philosophy I can totally get behind. 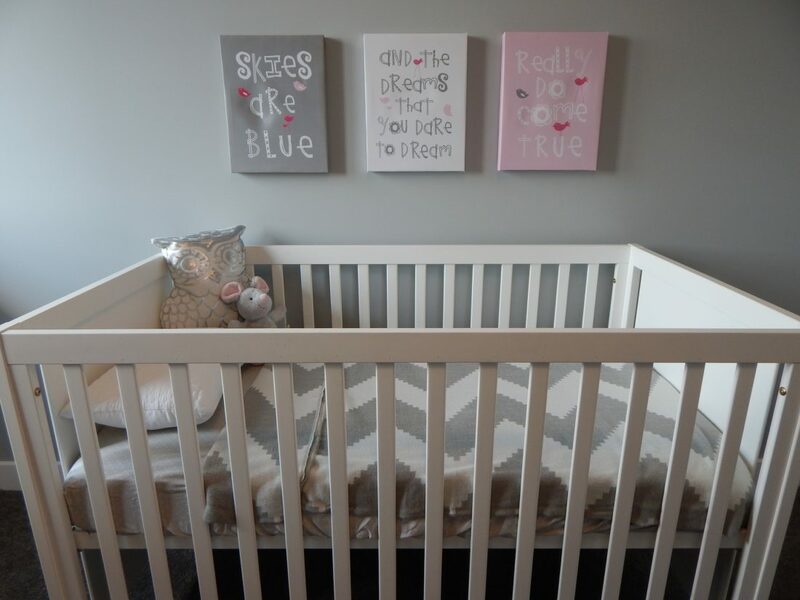 With baby #3 now a toddler and baby #4 on the way, a nursery designed with keeping two babies sleeping soundly was absolutely needed. I started with bringing in a second crib and looking for a crib mattress. Fortuitously, I connected with Newton Baby and was able to review one of their revolutionary mattresses. Bonus: their mattress boasts a 5 star review on Amazon and is an Amazon’s Choice product! Buy it now! Taking it out of the box, I noticed an immediate difference between it and traditional crib mattresses. Most mattresses have a plastic feeling on the outside, but Newton Baby’s crib mattress is breathable, which helps me feel safer putting my tummy sleeping baby to bed on it. It has other benefits like keeping baby cool and having a waterproof washable cover, super bonuses in my search to design a nursery that is focused on encouraging a baby to sleep well and deeply through the night. To compliment the new mattress, I also looked for crib sheets that would be soft and durable. I ended up finding a lot of 100% cotton options on Amazon, and since I’m unabashedly an Amazon momma, I snatched those up in a heart beat. You can check them out here. Going with our whole mission to encourage better bedtimes, I looked for minimalist decor that was not super stimulating. I found a great deal on a glider, added framed family pictures and handprint art to the walls, and upgraded baby’s sound machine. Finally, I set our night stand up with the cutest lamp in muted tones of grey and a humidifier with included essential oil diffuser. Mom safety tip: never use essential oils (even in a diffuser) on or around babies younger than 3 months and always dilute to 0.5-1%. When using in a closed room, use a humidifier with an automatic shut off and set to lowest mist level tolerable. >> More information on safely using essential oils for babies and young children. Now that the nursery redesign is complete, I’m noticing that baby #3 (who is teething something fierce) is even sleeping better. Though I cross my fingers daily that baby #4 will sleep just as soundly when he/she arrives in 5 months, I’m most excited to see the difference our new Newton Baby crib mattress itself makes. Our goal was to design a nursery from crib to wall to help the babies sleep better, and it’s definitely going to be a big help!